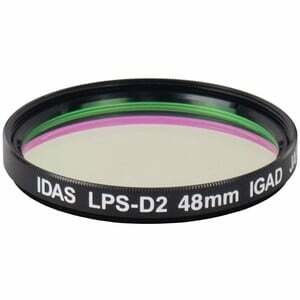 IDAS Nebula filters cause a significant contrast enhancement and therefore enable longer exposure times with DSLRs, Color and Mono Astro Cameras. 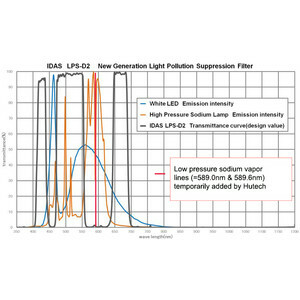 As more and more "easier to filter" sodium vapour street lights are replaced with white LED street lights, light pollution has gotten all the more tricky to deal with. 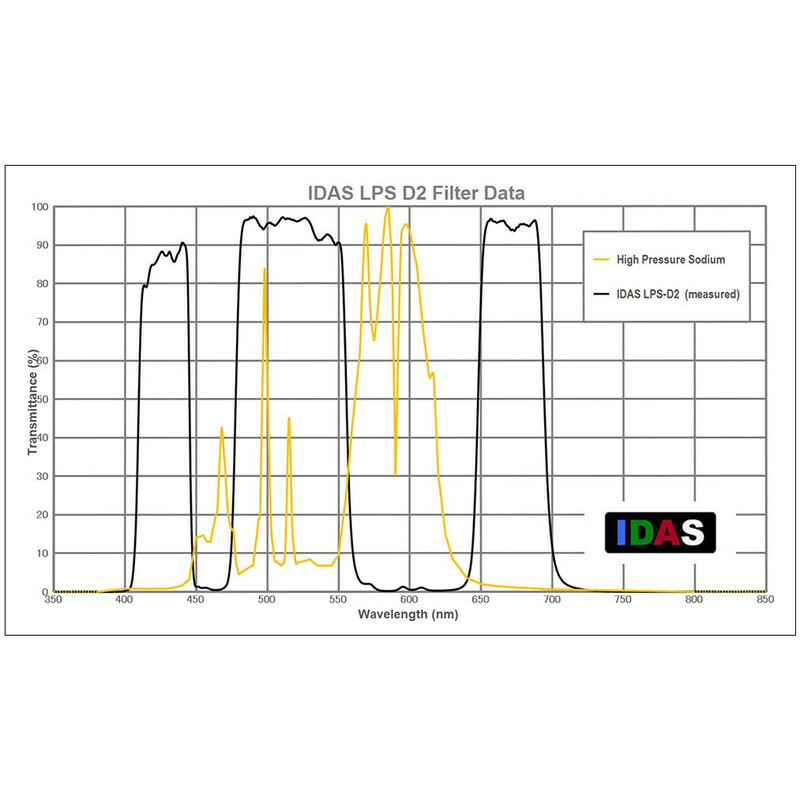 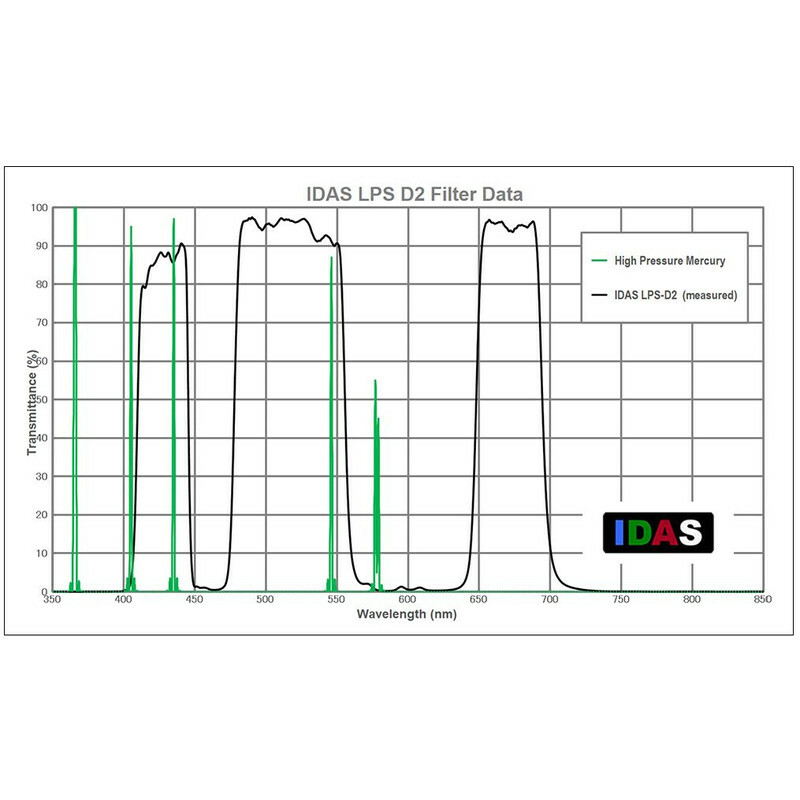 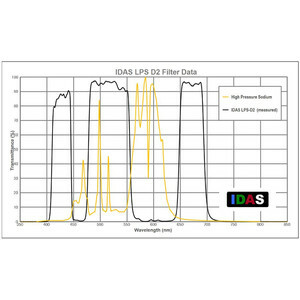 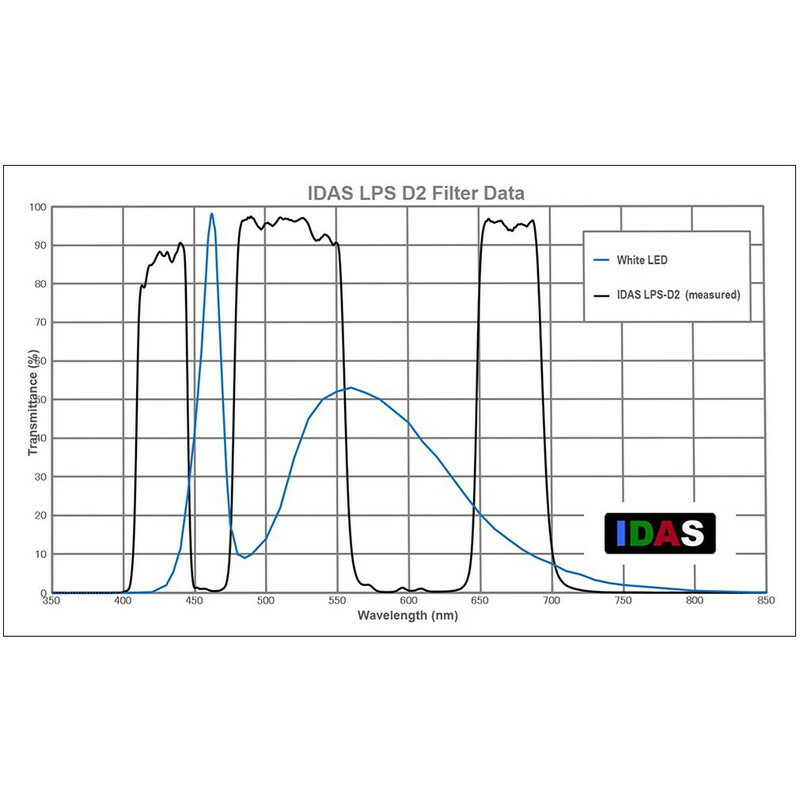 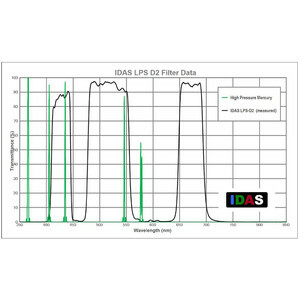 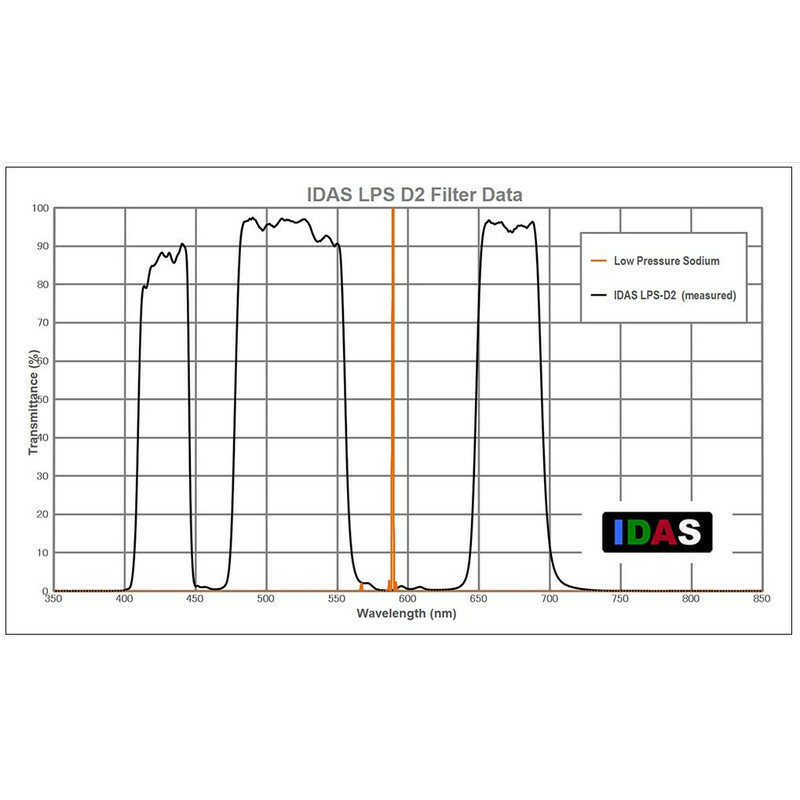 The IDAS LPS-D2 filter is the IDAS answer to this new threat. 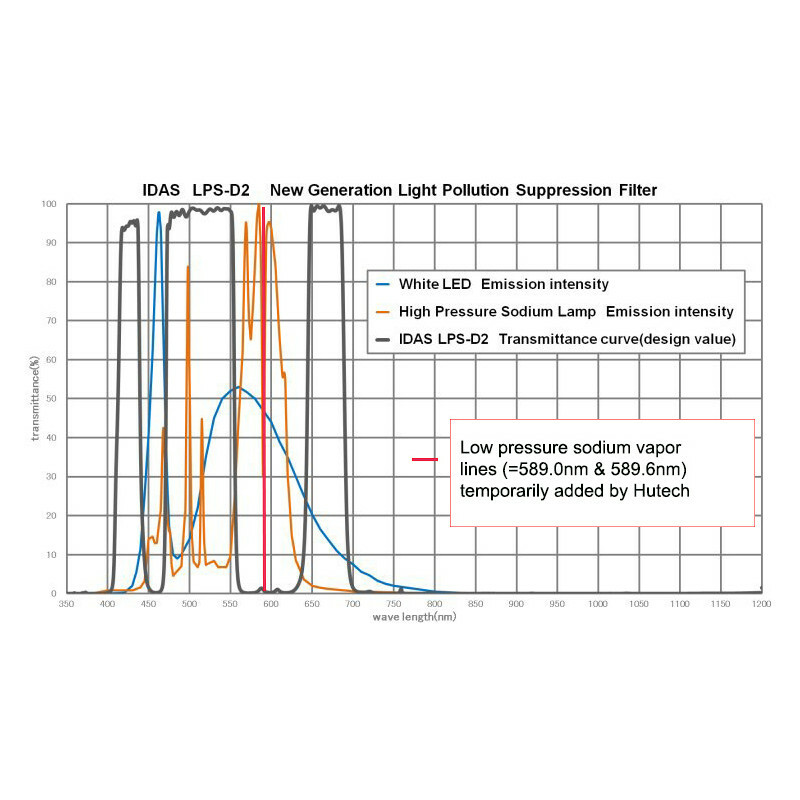 It targets heavily the strong blue component present in these lights, as well as eliminating the warmer part of their emission curve from about 555nm to 640nm. 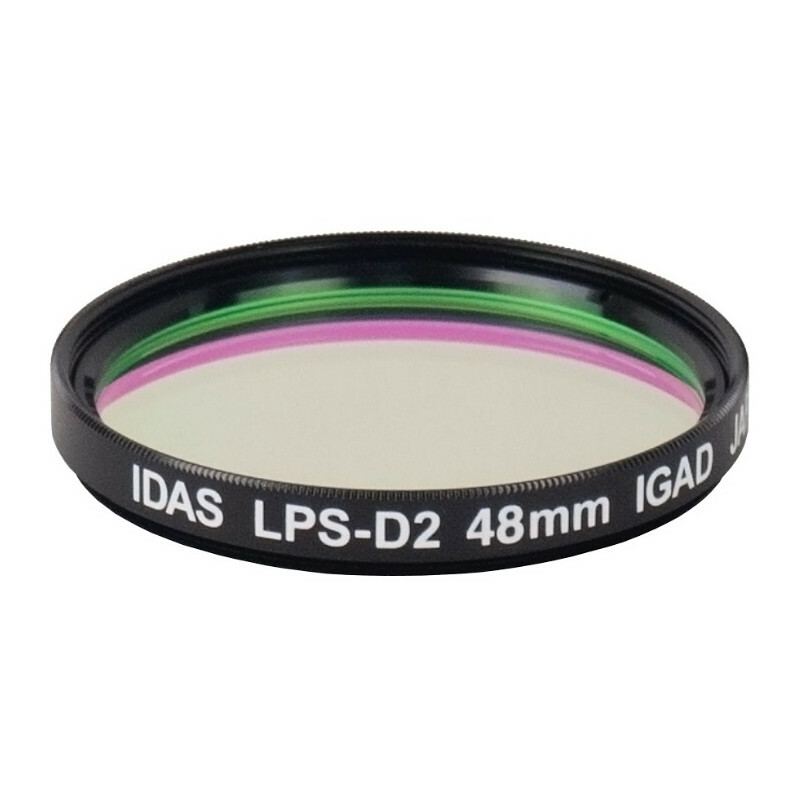 The filter is optimized for use with one-shot colour cameras. 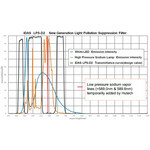 The transmission spectrum is carefully designed to keep the colour balance of images intact. 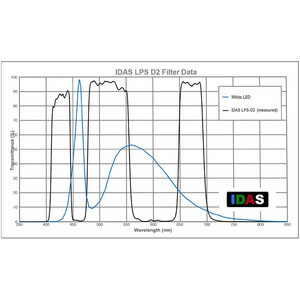 The popular IDAS filters are produced by HUTECH ASTRO.